For those of you who like a mix of drama, romance, and action, this book is for you. Starting off with, “I’m going to die today”, the author really hooks you in, making you wonder, why the main character says that she’s going to die. This book is about a twelve-year-old girl, named Sunny St. James, navigating through a heart surgery and finding “her people.” Along with that, she needs to deal with meeting her birth mother, who left her with a friend when Sunny was only four years old. As the reader proceeds through the book, the following questions pop into the reader’s mind: Will Sunny find “her people”? Will Sunny live to finish finding who she was meant to be? Will Sunny die? 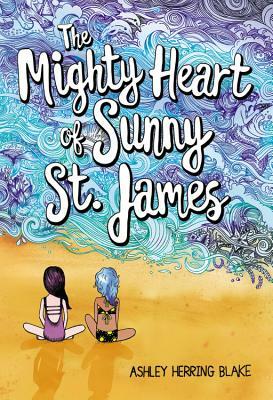 Twelve-year-old Sunny St. James navigates heart surgery, reconnecting with her lost mother, first kisses, and emerging feelings for another girl in this stunning, heartfelt novel--perfect for fans of Ali Benjamin and Erin Entrada Kelly.